Check out the TCAF new web site – we’re among participants under “Z”. And Rock Testament going to be our debut book. Well, we did it for last TCAF but we were late. Now when we “IN” – it’s better late than sorrow, eh? What we going to present at TCAF this year? Well, it’s Rock Testament, of course. Then it’s Hungry Hart, the reprint and Toronto Graffiti postcards. We may bring Tanya’s Oh, Gilgamesh as well, why not – it’s an excellent book for young adults. If we lucky we may also print some copies of carnet de voyages but only if we lucky! Hey, it’s in 3 months! We gotta be very lucky to do all that – hurry! TCAF | The Toronto Comics Art Festival | Tatyana and Eugene Zhilinsky. 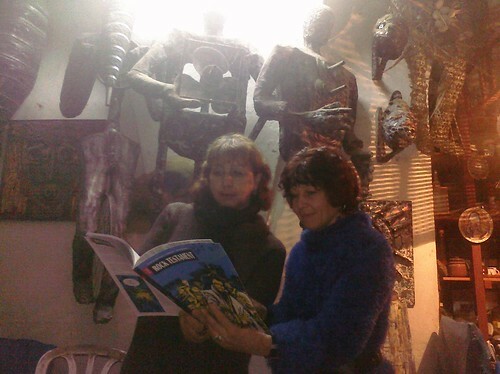 Our readers enjoying Rock Testament! CIMG0927, a photo by ezhilinsky on Flickr. Check the backgrounds! Do you remember where it was in the book? The Art of Urban Sketching | Crafts & Hobbies / Painting Book | Qbookshop. We proud to announce that we going to get our complimentary copy very soon. Yes, we are the participants and contributors! One of our urban sketch or two appear in this beautiful and unique 350 pages book The Art of Urban Sketching, which is both a comprehensive guide and a showcase of location drawings by artists around the world who draw the cities where they live and travel. Click on a link above to get an idea. And its not all! We also be at TCAFF this May! With our debut books Rock Testament and Hungry Heart. Isn’t it cool? We finally (after long break) displayed these beautiful set of Jerusalem postcards based on travel sketches of Tania Yuditskaya, c0-founder of Editions Tchai. 9 unique 5″X7″ post cards showing Middle East scenery – there are no similar artworks like that. 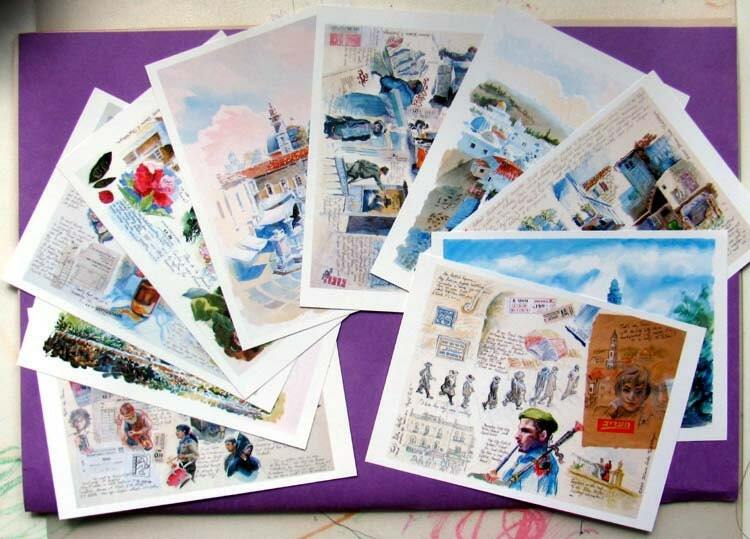 Represented first time at La Biennale du Carnet de Voyage in 2006, Clermont-Ferrand, France, as set of original watercolors 17″X24″ this project was later printed as 5″X7″ offset color cards. Great for mailing and matting.